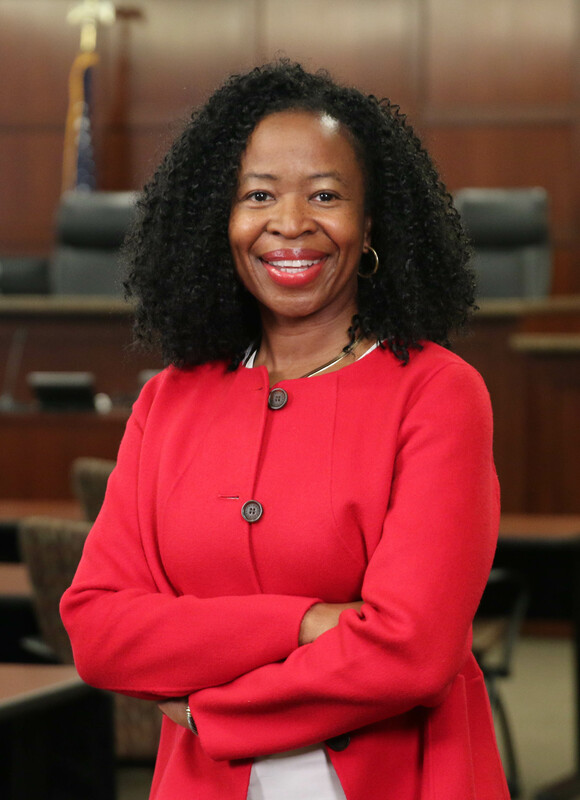 Ruth L. Okediji is the Jeremiah Smith. Jr, Professor of Law at Harvard Law School and Co-Director of the Berkman Klein Center. A renowned scholar in international intellectual property (IP) law and a foremost authority on the role of intellectual property in social and economic development, Professor Okediji has advised inter-governmental organizations, regional economic communities, and national governments on a range of matters related to technology, innovation policy, and development. Her widely cited scholarship on IP and development has influenced government policies in sub-Saharan Africa, the Caribbean, Latin America, and South America. Her ideas have helped shape national strategies for the implementation of the WTO's Agreement on Trade-Related Aspects of Intellectual Property Rights (TRIPS Agreement). She works closely with several United Nations agencies, research centers, and international organizations on the human development effects of international IP policy, including access to knowledge, access to essential medicines and issues related to indigenous innovation systems. Professor Okediji was a member of the United States National Academies' Board on Science, Technology and Policy Committee on the Impact of Copyright Policy on Innovation in the Digital Era. She served as the Chief Technical Expert and Lead Negotiator for the Delegation of Nigeria to the 2013 WIPO Diplomatic Conference to Conclude a Treaty to Facilitate Access to Published Works by Visually Impaired Persons and Persons with Print Disabilities (Marrakesh VIP Treaty). Okediji was appointed by United Nations Secretary-General Ban Ki-moon to the 2015 – 2016 High Level Panel on Access to Medicines. Professor Okediji is a recipient of numerous awards for excellence in teaching, research and mentoring. She is an editor of the Journal of World Intellectual Property Law and an elected member of the American Law Institute. Her most recent book, Copyright Law in an Age of Limitations and Exceptions, was published by Cambridge University Press in 2017. Professor Okediji is a graduate of the University of Jos and Harvard Law School. Ruth L. Okediji, Does Intellectual Property Need Human Rights?, 51 N.Y.U. J. Int'l & Pol. 1 (2018). Laurence R. Helfer, Molly K. Land, Ruth L. Okediji & Jerome H. Reichman, The World Blind Union Guide to the Marrakesh Treaty: Facilitating Access to Books for Print-Disabled Individuals (Oxford Univ. Press 2017). Copyright Law in an Age of Limitations and Exceptions (Ruth L. Okediji ed., Cambridge Univ. Press 2017). Copyright Law in an Age of Limitations and Exceptions brings together leading copyright scholars and the field's foremost authorities to consider the critical role of copyright law in shaping the complex social, economic, and political interaction critical for cultural productivity and human flourishing. The book addresses defining issues facing copyright law today, including justifications for copyright law's limitations and exceptions (L&Es), the role of authors in copyright, users' rights, fair use politics and reform, the three-step test in European copyright law, the idea/expression principle with respect to functional works, limits on the use of L&Es in scientific innovation, and L&Es as a tool for economic development in international copyright law. The book also presents case studies on the historical development of the concept of 'neighboring rights' and on Harvard Law School's pioneering model of global copyright education, made possible by the exercise of L&Es across national borders. Ruth L. Okediji, Reframing International Copyright Exceptions and Limitations as Development Policy, in Copyright Law in an Age of Exceptions and Limitations 429 (Ruth L. Okediji ed., Cambridge Univ. Press 2017). Ruth L. Okediji, Government as Owner of Intellectual Property: Considerations for Public Welfare in an Era of Big Data, 18 Vand. J. Ent. & Tech. L. 331 (2016). Open government data policies have become a significant part of innovation strategies in many countries, allowing access, use and re-use of government data to improve government transparency, foster civic engagement, and expand opportunities for the creation of new products and services. Rarely, however, do open data policies address intellectual property rights that may arise from free access to government data. Ownership of knowledge goods created from big data is governed by the default rules of intellectual property laws which typically vest ownership in the creator/inventor. By allowing, and in some cases actively encouraging, private capture of the downstream goods created as a result of open data policies, governments may fail to appropriate optimal returns to the public for its investment in big data. This Essay argues for coherence between open data policies and rules governing government ownership of intellectual property. It highlights the rule in US copyright law proscribing copyright in federal government works, arguing that public domain status is not invariably welfare-enhancing. The rule is sufficiently malleable to permit the federal government to assert ownership over knowledge assets developed from access to data that it owns or controls. Claiming copyright to engineer greater protection of the public interest could foster economic growth and facilitate the distributive welfare goals of intellectual property law more effectively than the public domain status that presumptively attaches to federal government works. Julie E. Cohen, Lydia Pallas Loren, Ruth Gana Okediki & Maureen A. O'Rourke, Copyright in a Global Information Economy (Aspen Law & Bus. 4th ed. 2015). 1st edition 2002; 2nd edition 2006; 3rd edition 2010. Third edition: http://id.lib.harvard.edu/aleph/012608850/catalog. Copyright in a Global Information Economy explores the full range of copyright law and its relationship to technological innovations and globalization. Written with precision and clarity, this ambitious yet manageable casebook elucidates the fundamental disputes of copyright law with incisive and balanced perspective. The book features comprehensive coverage of domestic and international copyright law, a balanced treatment of controversial issues, as well as a wide selection of concisely edited cases, engaging and practical examples and discussions, and photographs that facilitate and stimulate discussion of cases. Ruth L. Okediji, Law and Technology, in International Encyclopedia of the Social and Behavioral Sciences 520 (James D. Wright ed., 2nd ed. 2015). The conclusion of the Agreement on Trade Related Aspects of Intellectual Property Rights (TRIPS Agreement) in 1994 established a minimum baseline for regulating access to technology and knowledge goods. This global regime of intellectual property rights has since been a contentious aspect of modern economic relations. It has been viewed by consumers around the world as a significant barrier to access to technology and associated knowledge goods, including stymieing opportunities for social and political engagement by citizens. Public disenchantment with intellectual property as a primary regulator of access to technology could be addressed by the explicit linkage of proprietary rights to a new welfare axis comprised of development aspirations, human rights norms, and liberty considerations. To the extent social norms that develop around new technologies facilitate positive returns recognized by these complementary legal regimes, intellectual property rights that are in tension with these regimes will likely continue to lose moral sway, making the future of the TRIPS Agreement far less stable and its minimum obligations more costly to enforce. Moreover, gaps in how formal law and social norms regulate technology are not easily captured by the rigid prescriptions of treaty provisions, and thus the TRIPS Agreement is far less capable of serving the important role of shaping contemporary approaches to access to technology. As technology continues to reach deep into the private lives of citizens, and to affect the capacity and trajectory of national development in less-advanced economies, the design and construction of formal laws around which technology is produced, disseminated, and used will have greater import if they purposefully accommodate other legal orders whose norms resonate powerfully in advancing stylized visions of societal progress and human well-being. Ruth L. Okediji, Contracts, Persons and Property: A Tribute to Margaret Jane Radin, 22 Mich. Telecomm. & Tech. L. Rev. 143 (2015). Ruth L. Okediji, Legal Innovation in International Intellectual Property Relations: Revisiting Twenty-One Years of the TRIPS Agreement, 36 U. Pa. J. Int'l L. 191 (2015). Ruth L. Okediji, TRIPS and Its Methods: The Resilience of Developing Country Implementation of Intellectual Property Norms, in Intellectual Property, Trade and Development: Strategies to Optimize Economic Development in a TRIPS-Plus Era 241 (Daniel J. Gervais ed., 2nd ed. 2014). The author provides a comprehensive analysis of the latest economic, political and social research and advanced current thinking on the relationship between intellectual property and trade and development. Intellectual Property Rights: Legal and Economic Challenges for Development (Mario Cimoli, Giovanni Dosi, Keith E. Maskus, Ruth L. Okediji & Jerome H. Reichman eds., Oxford Univ. Press 2014). In recent years, Intellectual Property Rights - both in the form of patents and copyrights - have expanded in their coverage, the breadth and depth of protection, and the tightness of their enforcement. Moreover, for the first time in history, the IPR regime has become increasingly uniform at international level by means of the TRIPS agreement, irrespectively of the degrees of development of the various countries. This volume, first, addresses from different angles the effects of IPR on the processes of innovation and innovation diffusion in general, and with respect to developing countries in particular. Contrary to a widespread view, there is very little evidence that the rates of innovation increase with the tightness of IPR even in developed countries. Conversely, in many circumstances, tight IPR represents an obstacle to imitation and innovation diffusion in developing countries. What can policies do then? This is the second major theme of the book which offers several detailed discussions of possible policy measures even within the current TRIPS regime - including the exploitation of the waivers to IPR enforcement that it contains, various forms of development of 'technological commons', and non-patent rewards to innovators, such as prizes. Some drawbacks of the regimes, however, are unavoidable: hence the advocacy in many contributions to the book of deep reforms of the system in both developed and developing countries, including the non-patentability of scientific discoveries, the reduction of the depth and breadth of IPR patents, and the variability of the degrees of IPR protection according to the levels of a country's development. Ruth L. Okediji, Is Intellectual Property "Investment"? Eli Lilly v. Canada and the International Intellectual Property System, 35 U. Pa. J. Int'l L. 1121 (2014). Keith E. Maskus & Ruth L. Okediji, Legal and Economic Perspectives on International Technology Transfer in Environmentally Sound Technologies, in Intellectual Property Rights: Legal and Economic Challenges for Development (Mario Cimoli, Giovanni Dosi, Keith E. Maskus, Ruth L. Okediji & Jerome H. Reichman eds., 2014). Transferring environmentally sound technologies (ESTs) to developing countries is a primary means of addressing issues of local ecological sustainability and global climate change. This chapter reviews the essential determinants of, and roadblocks to, effectively expanding such transfers. We pay particular attention to the roles played by formal intellectual property rights (IPRs), which are supposed to facilitate international technology exchanges through such market mechanisms as foreign direct investment and licensing. While there is general evidence to support this view, for various reasons the effectiveness of IPRs may be limited in the realm of ESTs. Moreover, IPRs raise the clear possibility that owners of patents in new and critical technologies could limit international access through restrictive licensing terms and potentially anti-competitive behavior. The chapter analyzes available policy alternatives, ranging from nuanced changes in the legal scope of IPRs in the global system to innovative international funding mechanisms, such as prizes and green technology funds. Patent Law in Global Perspective (Margo A. Bagley & Ruth L. Okediji eds., Oxford Univ. Press 2014). This text addresses critical and timely questions in patent law from a truly global perspective, with contributions from leading patent law scholars from various countries and various disciplines. The rich scholarship featured reflects on a wide range of perspectives, offering insights and new approaches to evaluating key institutional, economic, doctrinal, and practical issues that are at the forefront of efforts to reform the global patent system, and to reconfigure geo-political interests in on-going multilateral, trilateral, and bilateral initiatives. Ruth L. Okediji, The Role of WIPO in Access to Medicines, in Balancing Wealth and Health: The Battle Over Intellectual Property and Access to Medicines in Latin America (Rochelle C. Dreyfuss & Cesar Rodriguez-Garavito eds., 2014). This book examines the tension between intellectual property law and access to medicine in a set of developing countries caught between their international trade obligations and their commitment to the health of their citizens. Margo A. Bagley, Ruth L. Okediji & Jay Erstling, International Patent Law and Policy (West Acad. Publ'g 2013). This casebook provides comparative and international materials for a range of patent law topics, emphasizing the doctrinal, normative and practice-related issues resulting from global harmonization and cooperation efforts, the impact of such efforts on countries at different levels of economic development, an overview of the principal international intellectual property regimes, discussion of key policy issues that will frame international patent law’s future, and coverage of multinational patent enforcement. Jerome H. Reichman & Ruth L. Okediji, When Copyright Law and Science Collide: Empowering Digitally Integrated Research Methods on a Global Scale, 96 Minn. L. Rev. 1364 (2012). Automated knowledge discovery tools have become central to the scientific enterprise in a growing number of fields and are widely employed in the humanities as well. New scientific methods, and the evolution of entirely new fields of scientific inquiry, have emerged from the integration of digital technologies into scientific research processes that ingest vast amounts of published data and literature. The Article demonstrates that intellectual property laws have not kept pace with these phenomena. Copyright law and science co-existed for much of their respective histories, with a benign tradition of the former giving way to the needs of the latter. Today, however, the formidable array of legislative maneuvers to tighten the grip of copyright laws in defense of cultural industries whose business models were upended in the online environment have, deliberately or not, undermined the ability of the scientific community to access, use, and reuse vast amounts of basic knowledge inputs. Database protection laws, reinforced by electronic fences and contracts of adhesion, further subject copy-reliant technologies to the whims of publishers and hinder the pooling of publicly funded resources that empower collaborative research networks and the formation of science commons in general. The authors analyze the different components of a complicated transnational legislative fabric that have changed world copyright law into a science-hostile environment. Given the global nature of digital scientific research, they focus attention on comparative laws that fragment research inputs into diversely accessible territorial compartments. This analysis shows that users of automated knowledge discovery tools will likely become collective infringers of both domestic and international property laws. In response to this challenge, the authors discuss possible solutions to the problems that intellectual property laws have created for digitally integrated scientific research from two very different angles. First, the authors skeptically consider the kinds of legal reforms that would be needed if commercial publishers continued to act as intermediaries between producers and users of scientific information and data, as they do today, without regard to the likelihood that such reforms would ever be enacted. The authors then reconsider the role of publishers and ask whether, from a cost-benefit perspective, it should be significantly modified or abandoned altogether. Finally, the authors examine alternative strategies that the scientific community itself could embrace in a concerted effort to manage its own upstream knowledge assets in ways that might avoid, or at least attenuate, the obstacles to digitally empowered scientific research currently flowing from a flawed intellectual property regime. The Article concludes by stressing the need to bridge the current disconnect between private rights and public science, in the overall interest of both innovation and the advancement of knowledge. Ruth L. Okediji, Copyright in TRIPS and Beyond: The WIPO Internet Treaties, in Research Handbook on the Protection of Intellectual Property under WTO Rules 343 (Carlos Correa ed., 2010). Ruth L. Okediji, Public Welfare and the Role of the WTO: Reconsidering the TRIPS Agreement, in The Political Economy of Intellectual Property Rights 192 (Christopher May ed., 2010). Ruth L. Okediji, Prospects for Innovation and Technology Transfer Under the European Community-Group of African, Caribbean, and Pacific Economic Partnership Agreements, in Updating Economic Partnership Agreements to Today's Global Challenges 98 (Emily Jones & Darlan F. Martí eds., 2009). African and Pacific countries continue to negotiate the challenging Economic Partnership Agreements (EPAs) with the European Union. These new agreements have the potential to help African countries accelerate their economic growth and develop more resilient economies. However, the presence of negotiating deadlocks or a sense of fatigue as well as the lack of real appetite for these agreements among many African, Caribbean, and Pacific (ACP) negotiators, raise legitimate questions regarding their structure and content, as well as their ability to constitute instruments to leverage economic growth. Ruth L. Okediji, The Regulation of Creativity Under the WIPO Internet Treaties, 77 Fordham L. Rev. 2379 (2009). Ruth L. Okediji, Beyond Fragmentation: WIPO-WTO Relations and the Future of Global IP Norms, 39 Neth. Y.B. Int'l L. 69 (2008). The World Trade Organization's (WTO) Agreement on Trade-Related Aspects of Intellectual Property Rights (TRIPS Agreement) has been the focus of intense scholarly debate regarding the effects of IP protection on the development interests of the global South. Far less attention has been directed at the organizational framework in which future IP norms should be developed. The governing assumption has been that the norm-setting role of the World Intellectual Property Organization (WIPO) remains unchanged notwithstanding the primacy of the WTO as an Organization with explicit mandate for global IP regulation. In this Article, I argue that the WTO, in a hierarchical division of labor with WIPO, should be promoted as the locus of IP norm-setting, particularly with respect to those norms that affect the regulation and supply of global public goods. IP norm-setting in the WTO is not without risks. Nonetheless, an organizational culture in which IP protection is one of many tools to accomplish defined welfare goals, rather than the raison d'être of the organization's existence, may force open important institutional space in which future IP norms consistent both with the interests of less developed countries and the ideals of mature IP systems, can be meaningfully negotiated. At a minimum, a hierarchical relationship could facilitate inter-institutional competition between the WTO and WIPO, generating additional welfare gains for the international community in the form of greater transparency in the processes of IP norm-setting, improvements in the democratic deficit inherent in international organizations generally, as well as systemic gains from enhanced accountability in the global management of IP. Ruth L. Okediji, History Lessons for the WIPO Development Agenda, in The Development Agenda: Global Intellectual Property and Developing Countries (Neil Weinstock Netanel ed., 2008). This chapter explores the technology-related focus of the IP-development linkage and outlines WIPO's role in the initial development paradigm, which prevailed from 1964 to 2004 when a proposal for a WIPO Development Agenda was first submitted. It then examines the WIPO Development Agenda in light of this history and identifies possible paradigm shifts discernible both in the structure of the Agenda and in preliminary considerations regarding its implementation. Finally, the chapter suggests a number of ways to interpret the WIPO Development Agenda and reflects briefly on how these different “faces” of the Agenda might inform WIPO's institutional role in responding to a spectrum of development interests in an era of rapid technological transformation. Ruth L. Okediji, IP Essentialism and the Authority of the Firm, 117 Yale L.J. Pocket Part 274 (2008). The goal of translating the diffuse gains from domestic intellectual property (IP) protection in the global North into an international setting characterized by vast disparities in national income levels, diverse cultural and historical contexts, and distinct legal institutions has long caused pathological behavior in global IP politics. The A2K movement reflects this pathology in new ways. The paradox of the movement, well captured in Amy Kapczynski’s article, is that it depends so integrally on the core assumptions that sustain the legitimacy of the international IP system, the most essential of which is that technological innovation is a principal cause of national economic growth. Yet fostering endogenous economic growth has not occupied a central place in A2K strategies. If altering the terms and text of the debate over the global conditions of IP protection is the organizational hook to the A2K mobilization, it is striking that the fundamental theme of the debate—inducing economic growth—is not central to the movement’s internal self-legitimation. In this brief Response, I put forward a few insights highlighting the discursive nature of the movement, the entrenchment of Coase’s firm in rationalizations of the global necessity for IP protection, and the movement’s own reliance on IP and market rules to maintain its position of influence in multiple international fora. Ruth L. Okediji, The Limits of Development Strategies at the Intersection of Intellectual Property and Human Rights, in Intellectual Property, Trade and Development: Strategies to Optimize Economic Development in a TRIPS-Plus Era 355 (Daniel J. Gervais ed., 2007). This book provides a comprehensive analysis of the latest legal, economic, political and social research and advanced current thinking on the relationship between intellectual property and trade and development. Ruth L. Okediji, An Enduring Legacy for the Knowledge Econoomy: UNESCO and the International Copyright System, in Standard-Setting in UNESCO: Normative Action in Education, Science and Culture 113 (Abdulqawi A. Yusuf ed., 2007). This first of a two-volume work on Standard-setting in UNESCO contains the essays presented at a symposium held on the occasion of its sixtieth anniversary. Ruth L. Okediji, Securing Intellectual Property Objectives: New Approaches to Human Rights Considerations, in Casting the Net Wider: Human Rights, Development, and New Duty-Bearers 211 (Margot E. Salomon, Arne Tostensen & Wouter Vandenhole eds., 2007). This edited volume brings together scholars and practitioners to address the question as to whether, in our globalized world, the protection of economic, social, and cultural rights should become the duty of actors beyond the state. Ruth L. Okediji, The International Intellectual Property Roots of Geographical Indications, 82 Chi.-Kent L. Rev. 1329 (2007). Ruth L. Okediji, Sustainable Access to Copyrighted Digital Information Works in Developing Countries, in International Public Goods and Transfer of Technology Under a Globalized Intellectual Property Regime 142 (Jerome H. Reichman & Keith E. Maskus eds., 2005). This is the first book to assess the public processes and inputs that an emerging transnational system of innovation will need to promote technical progress, economic growth and welfare for all participants. Ruth L. Okediji, Rules of Power in an Age of Law: Process Opportunism and TRIPS Dispute Settlement, in Handbook of International Trade: Economic and Legal Analyses of Trade Policy and Institutions 42 (James Hartigan & Kwan Choi eds., 2005). This second volume of the Handbook of International Trade focuses on the economic and legal analysis of international laws and institutions as they impact trade. Ruth L. Okediji, Africa and the Global Intellectual Property System: Beyond the Agency Model, 12 Afr. Y.B. Int'l L. 207 (2004). Ruth L. Okediji, Back to Bilateralism? Pendulum Swings in International Intellectual Property Agreements, 1 U. Ottawa L. & Tech. J. 125 (2004). This article briefly presents an account of bilateralism in international economic relations - encompassing intellectual property regulation - that suggests that the TRIPS Agreement should never have been understood as a crowning point of international intellectual property regulation. The article explores the implications of this possible reformulation of the theory and place of the TRIPS Agreement in international intellectual property law and policy. The author argues that the new bilateralism, while similar in form, serves a different agenda from the old bilateralism which relied principally on commercial agreements as a means to stabilize, formalize and advance interests ostensibly mutual to the contracting parties. Notwithstanding this different function, and in spite of the deployment of coercive measures enforced through unilateral trade policy, the author seeks to consider what, if any, real prospects for gain may exist for developing countries under the new bilateralism. Ruth L. Okediji, The Institutions of Intellectual Property: New Trends in an Old Debate, 98 Am. Soc'y Int'l L. Proc. 219 (2004). Ruth L. Okediji, Through the Years: The Supreme Court and the Copyright Clause, 30 Wm. Mitchell L. Rev. 1633 (2004). Ruth L. Okediji, Balancing Acts: Antitrust for Economic Development, 48 Antitrust Bull. 923 (2003). The broad question of how antitrust principles are effected in a legal regime that deliberately grants exclusive market rights to innovators is one that is particularly complex in the information era. The intellectual property/antitrust interface requires a careful and flexible balance between the acceptable effects of proprietary rights on static efficiency, and the anticipated welfare gains of dynamic efficiency. The long-term gains of this trade-off justify and reinforce the competitive framework as the immediate context in which policy makers must scrutinize the exploitation of intellectual property. However, competition policies cannot enhance welfare simply by broad exemptions, harmonized minimum principles, or striking isolated provisions in licensing agreements. The welfare models of trade, intellectual property, and antitrust require considerable adjustment within specific, national contexts to assure the welfare benefits associated with each regulatory order are obtainable. This requires balancing acts - between trade and competition, competition and intellectual property, and between the different measurements of welfare associated with each discipline. Ruth L. Okediji, Public Welfare and the Role of the WTO: Reconsidering the TRIPS Agreement, 17 Emory Int'l L. Rev. 819 (2003). Ruth L. Okediji, The International Relations of Intellectual Property: Naratives of Developing Country Participation in the Global Intellectual Property System, 7 Sing. J. Int'l & Comp. L. 315 (2003). Ruth L. Okediji, Toward an International Fair Use Doctrine, 39 Colum. J. Transnat'l L. 75 (2000).